Designed by Frederick Law Olmsted and Calvert Vaux in 1867, the Plaza is the grand entrance to the northern corner of the park and is the beginning of Eastern Parkway, the world’s first parkway. 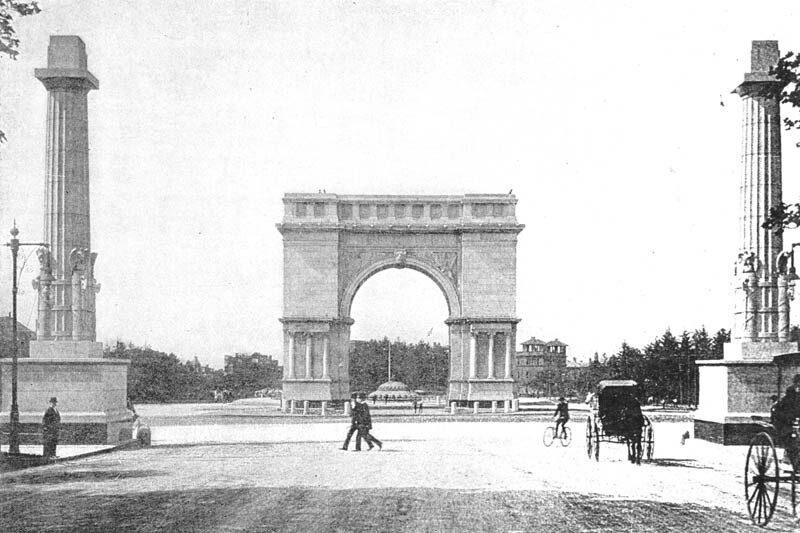 The Soldiers’ and Sailors’ Arch, designed by John H. Duncan, was built at the site in 1895 as a way to commemorate the Union troops who died during the Civil War. The Arch features sculptures, including the chariot on top of Columbia and the relief sculpture of soldiers, designed by Frederick MacMonnies. There are also two sculptures of Abraham Lincoln and Ulysses Grant on horses. 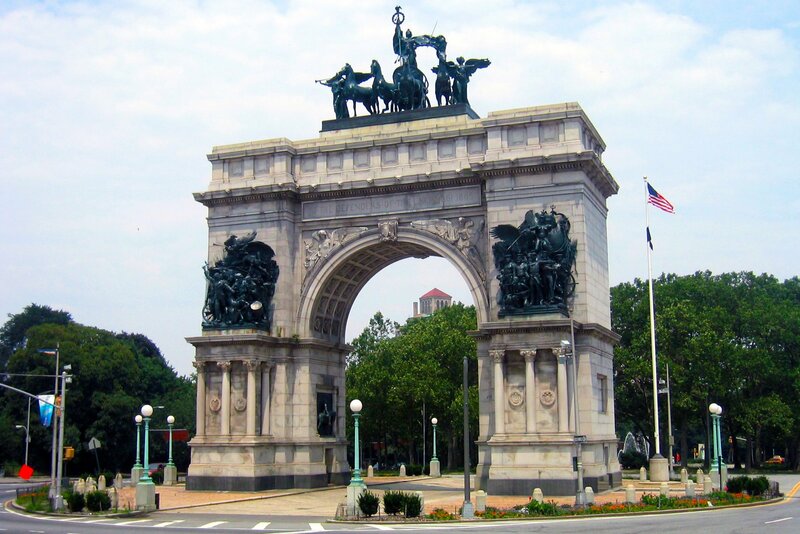 The Arch was designated as a landmark in 1973, with Grand Army Plaza becoming a landmark in 1975. A year later, Columbia actually fell off her chariot from the crown of the Arch, according to the city. The city restored the Arch in 1980 and again in 2000.